Generally, when you have a great idea for a short, you know it. It’s that logline that just “pops” and feels right. And everyone who you tell it to thinks it’s a great idea for a short movie too. We’ll tackle the actual writing and developing of shorts in another post, but for now we’re going to focus on how to come up with initial short film ideas that will spark people’s imagination in the first place. ♦ Why come up with short movie ideas and not feature ideas? Why Come Up With Short Film Ideas and Not Feature Ideas? The first key step in developing short film story ideas for beginners or pros, is to decide what your motivation is. Why do you want to write and produce a short film, rather than a feature-length screenplay or TV pilot? 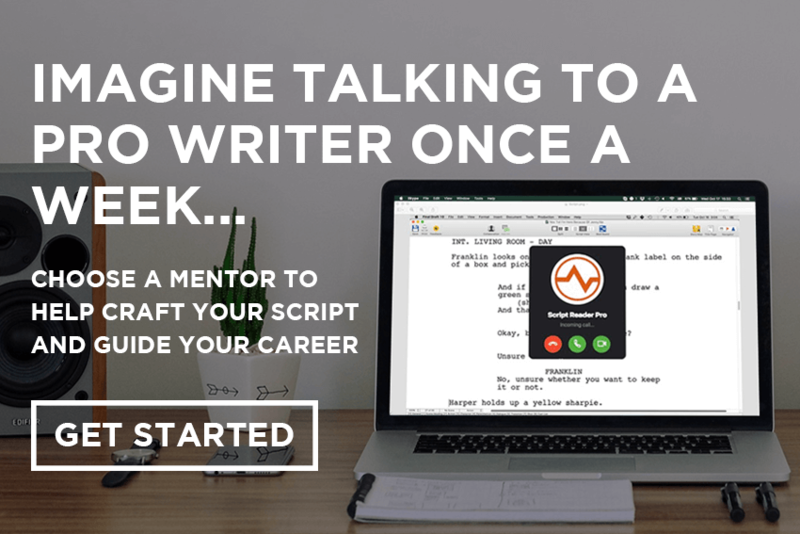 Rather than sitting by the phone waiting for a manager, development executive or producer to call you with great news about your feature spec, by developing short script ideas you’re taking your destiny in your own hands. You’re writing, shooting and producing your own content and putting it out there. 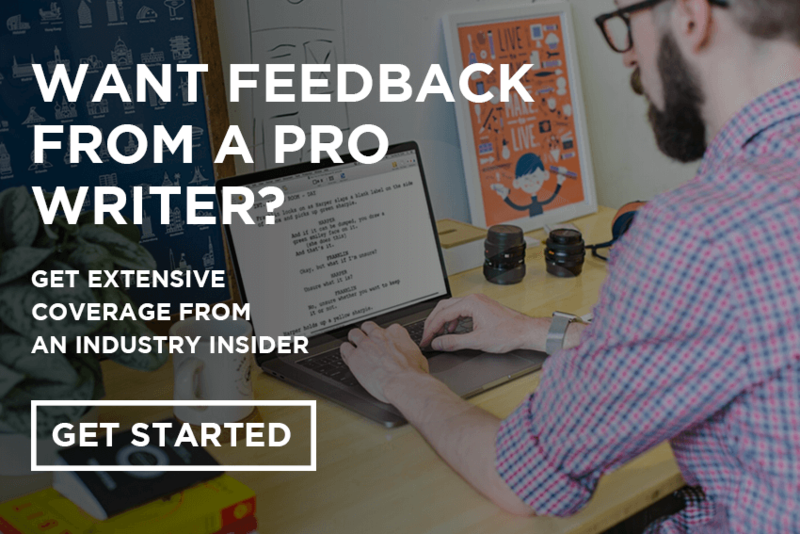 Sometimes this can be the very best way to gain some credits and kick-start a screenwriting career. 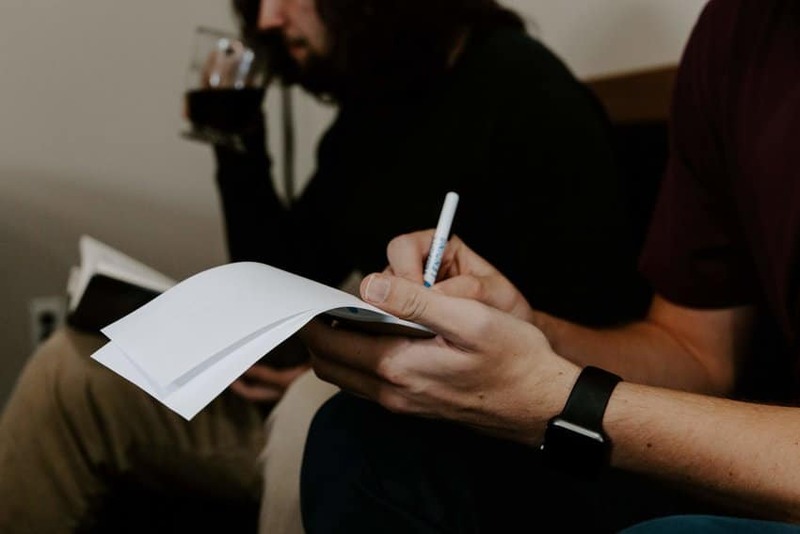 For many writers, the ability to have complete creative control over their short film ideas and to produce a tangible sample of their writing, is a big bonus. Plus, maybe you want to actually write, direct, produce or act in your own short films. Or all four. These days, with the ease of access to online platforms, you don’t have to limit yourself—you can create your own opportunities. Movies are a visual medium, so why not show your writing ability visually, and also give yourself the chance to be showcased in short film festivals and be in the running for short film awards? Ask yourself: How many characters on average are in your short film story ideas? How complex is the plot? How visual is the story? Whereas feature film concepts often benefit from complex storylines and characters, short film ideas do not. You have so little time in a short to set up the characters and story that if the idea is overly complicated the audience will tune out. This often means sticking to one location and developing short film ideas with only one or two characters. Often, the best short film ideas are those that are super-simple and shot in one location. ♦ A son sits down to dinner with his absentee father. ♦ A girl tries to decide whether or not to jump from a waterfall. ♦ A man struggles to record the perfect voicemail message. All of the above short film story ideas were developed into heartfelt, compelling shorts, with lean and accessible storylines. They also all premiered in major film festivals. If you develop short film ideas with one character, one location and a plot you can articulate in one sentence, then chances are you’re probably on the right track. Piggybacking off the first point, how long are your short script ideas likely to be? If you have multiple characters, locations and plot lines, this is likely to bloat the eventual page count. Here at Script Reader Pro we regularly receive short films for script coverage that are 30 or even 40 pages long. This is simply too long for a short film. Ideally you want to aim for that sweet spot somewherebetween 5 and 20 minutes as it will make your film that much more attractive to programmers at short film festivals. Programmers want to cram as many shorts into one night as possible, so naturally 5-minute short film story ideas are much more likely to get in than those that stretch to 30 minutes or more. Refer back to the three examples of good short movie ideas in the above section. Ideas like these naturally lend themselves to shorter scripts because brevity is inherent in their premises. They’re small snapshots of a person’s life—a single scene that’s loaded with conflict—and this is often the best way to make sure your short film ideas stay just that: short! How much money do you think your short movie ideas will cost to produce? Are they one-location shoots that won’t cost any money and involve only one actor? Or will you have to pay to shoot in a coffee shop and feed five actors? There’s no need to over-spend on a short. Short films are generally meant to be calling cards, or to build up your skills as a filmmaker. You can absolutely get distribution for a short, but it won’t pay much. As an example, a filmmaker friend of ours won a festival with his short, and one of the major short distributors in the world picked it up for just $300. At Cannes they told him a short could possibly get about $75 to $100 per minute in a distribution deal, and that would be on the high end. So if you have a 10 minute short, that’s at most $1000. Yet we know people and have heard stories of many writers spending $15,000 to $25,000 on a short. Save that money to shoot a feature later when your skills are more advanced. When you’re first developing creative short film ideas, write down every resource that you can get for free or cheap. Here are some ideas: Do friends and/or relatives live nearby? Ask if you can shoot at their place.Maybe your aunt is a doctor? Can you shoot at her office after hours for free? Maybe your cousin manages a coffee shop? Can you go in before they open and shoot some scenes? Also, f you’re willing to get creative and bend your schedule around businesses’ operating hours, many will be willing to help you. Make the same list for props and wardrobe. What do you already own? What can you borrow from friends? What can you buy on half-price day at Goodwill? Only after you’ve secured free or cheap locations and resources should you begin really developing your short movie ideas. Then you know you’ll be writing a script that you can actually shoot on a low budget, rather than coming up with the idea only to find it’s out of your budget. Do your short ideas tend to focus on one moment, develop a little, and then end in roughly the same place? If so, you may need to try to come up short film ideas with a twist. Many of the best short film ideas are based on simple moments in a person’s life that end with a twist, shocking the audience in some way. This isn’t to say all short film ideas should develop in this way, but it’s definitely worth considering in order to make it memorable. Perhaps the easiest way to come up with good short film ideas is to simply watch as many shorts as you can and see what already works. Go to FilmShorts.com which breaks down short films into festival winners, different genres and shorts by famous directors etc. and get inspired. Once you’ve found some shorts in your chosen genre you’d like to emulate, have a go at breaking them down. If you want to focus on funny short film ideas, or short horror film ideas, for example, watch a bunch of Comedy short award winners and break them down. Write an outline of the short as you watch—one scene per line—noting what happens in each. Who’s the protagonist of each scene? Who or what is the antagonist? What’s the conflict? How is it set up, escalated and resolved? In 2012, Damien Chazelle was told that his feature script would never be made because “no one wants to make a jazz drumming movie.” Rather than give up, he pulled the most intense scene from the script and turned it into a short. This short then went on to garner a ton of interest and eventually secure investment for his movie, Whiplash. You can do the same. If you have a great scene in a feature that’s full of conflict and can stand alone, consider pulling it out and reworking as a short. Rather than sit in front of your laptop struggling to come up with creative short film ideas, shut it down, turn off all your electronic devices and get outside. Go to the park, or for a hike or simply a walk down a busy city street. Do a 24-hour or 48-hour digital detox and see how much easier it is to come up with good short film ideas by letting your mind have more space to roam and free-associate. Take moments from the news or even your own life and see if they could be developed into a single moment from a character’s life that would make a compelling short movie. Overall, you want to make sure that the short film story ideas you come up with are short, simple and loaded with conflict. It’s worth remembering that 5 minute short film ideas are much more likely to garner some interest than those that run for 20+ minutes. The best way to learn what short movie ideas actually work is by studying those that have actually made it to the big screen, won awards and kick-started writers’ careers. We hope these short film ideas for beginners and pros alike have given you some food for thought. How do you come up with good short film ideas? Do you start with short film plot ideas or with character? What do you think of our methods outlined above? Let us know in the comments section below! You’ve given my shorts a new life with your ideas on producing one or two of them. Thank you. Thanks for the feedback, Pauline. Good luck with them! I am currently working on a short but it has way more than two or three characters and it will be about 30-40mins. Is it still considered as a short or not? Yes it’s still a short. Does anyone know of any good short film screenplay contests? ScreenCraft have a good one. Can you give the titles of those short films? I know last one is form Duplass brothers 🙂 but what about the first two? Hi. If im making a short documentary about a crisis in my (real) life, is it still a short? Yes, “short” refers to the length of the film, not the content. short film writing. You have touched some good points here. Any way keep up the great writing. How do I get you to read my short? It’s ready for production. Budget director and actors in place. I hadn’t thought about shorts in this way and now want to write one! v.inspiring. Thank u.
Glad to hear it, Stephanie. The length of 5-20 minutes is exactly what we consider at Link International Film Festival. Anything above we wouldn’t even watch. A short proving Racism wrong more like a narrative story is that a good choice.. It doesn’t have twists but will show the truth happening. Can I have your Suggestion please. We have a short film coverage service you may be interested in. Love these ideas. Really going to work on my shorts now. I want to work on a short film this summer so thanks for sharing this. I like your point about writing a short film that is easy to shoot. I’ll be sure to consider this so I can stay within my budget and time frame. I find it awesome that you said that a person can create a short film by themselves in order to boost their screenwriting career while having complete freedom of how to have it produced. If I wanted to create a short film comparing how poor and rich people live for an indie contest, I would hire a post-production service to help edit the video. That way, they can increase its quality and make it more relatable in the audience. Thanks for the tips on how to come up with filmable short film ideas. I think that it’s really important to take into account your production design when deciding how and what to film. Deciding on what props you need to rent and what aesthetic you want your film and set to have goes a long way in making the finished product good. Thanks for the input, Steele!